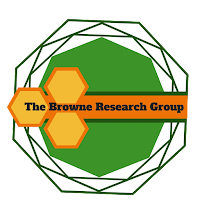 The Browne lab welcomes Visiting Scholar Dr Abdul Hadi Aldmairi. Abdul obtained his PhD with Prof David Knight working on the synthesis of natural products using proton catalysed cyclisation reactions. Abdul will explore flow methods and organo-fluorine chemistry. Abdul likes to eat a lemon-a-day!